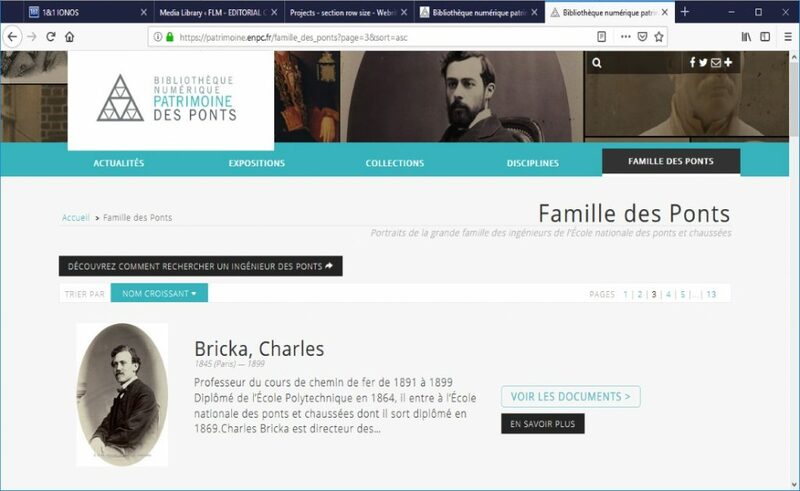 In 2015, I have written and rewritten biographies of renowned Ecole des Ponts’ professors, for its Heritage Digital Library. As a resource center, this dedicated website offers to the public some interesting stories and documents. A large choice of references helps to better understand the History of science, techniques and engineering. These resources are manuscripts, maps, plans, prints and images such as old photos and drawings.